A coalition of 42 rights groups, including Article18, have called for the renewal of the mandate of the UN’s special rapporteur on human rights in Iran. 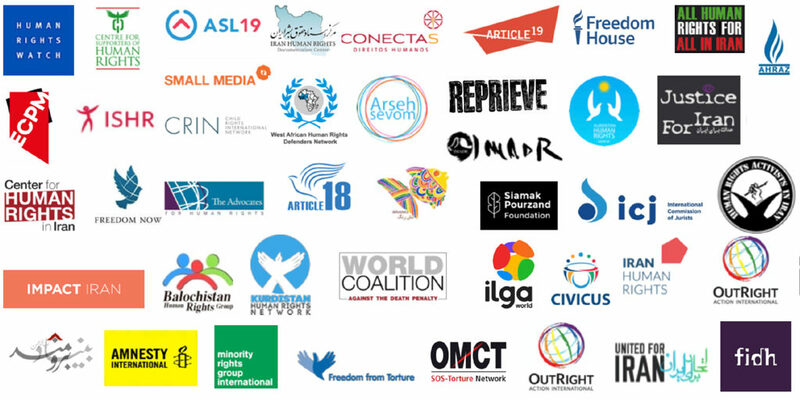 In a joint letter to members of the UN’s human rights council, the groups highlight the “persistence of serious, chronic and systematic violations of civil, political, economic, social and cultural rights in [Iran], which have only become more dire over the past year”. The letter calls for the mandate of Javaid Rehman, appointed in July last year after the death of former rapporteur Asma Jahangir, to be renewed to “address the on-going repression in Iran” and “advance the promotion and protection of human rights”. Among the rights abused by Iran, the letter notes, is the right to freedom of religion or belief. In his latest report, Mr. Rehman bemoaned the “heavy sentences” given to Iranian Christians and called for the “release of all those imprisoned for having exercised their right to freedom of religion or belief”. Mr. Rehman’s report called on Iran to “protect the rights of all persons belonging to religious and ethnic minorities and address all forms of discrimination against them”. He noted that several Christians have “received heavy sentences after being charged with threatening national security, either for converting people or for attending house churches” and said the “disproportionate number of arrests and convictions of members of minority groups” illustrates “discrimination in the administration of justice”. “Ethnic and religious minority groups constitute a disproportionately large percentage of persons executed or imprisoned,” he said. Over the past decade, Article18 has consistently highlighted Iran’s failure to grant freedom of religion to its citizens. Article18’s inaugural annual report, released in January, noted that at least 14 Christians remained in prison at the end of 2018, detained on spurious charges related to their faith or religious activity. Ahead of Christmas, 114 Christians were arrested in one week alone, after a series of raids in ten cities across the country. Amnesty International said 2018 had been Iran’s “year of shame” due to its “chilling” crackdown on the rights to freedom of expression, association and peaceful assembly. Human Rights Watch also highlighted the imprisonment of Christian converts in the Iran chapter of its 2019 World Report.